We’re sending Jon to the Sports Shows in January and February! He’ll have a chance to see all of you during the off-season, and hear about what’s happening with you and your friends. 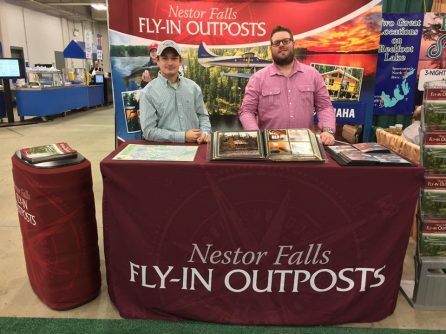 Growing up in the business working along side his dad Dave; Jon can also help you plan a great fly-in fishing trip. If you plan to do some fishing with Nestor Falls Fly-In but haven’t booked a trip yet, please reserve your spot ASAP! The shows are a perfect opportunity to talk to us. You can also call us at 1 (877) 653-1524 and we’ll take care of you that way, too.